The MR. PLANT Professionals will visit your home or office, and together we’ll select the perfect plants & containers to enhance your environment while staying within your budget. Our “All Inclusive” Service means we guide you every step of the way from Design to Installation to Maintenance. We Make It Easy For You! We relieve you from a lot of stress and pressure so you can focus on more important and productive things in your life. Throughout the whole process, you’ll discover it’s a really fun experience. 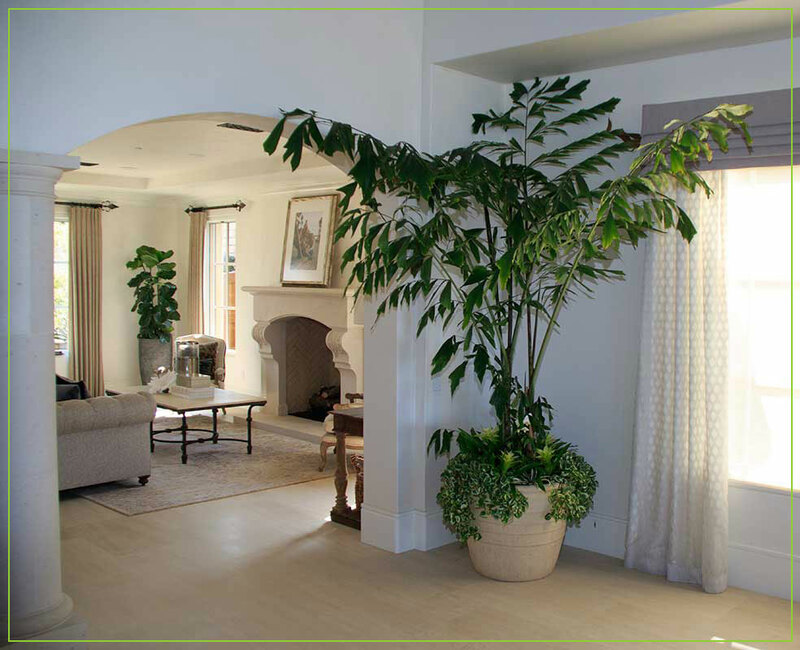 It has been proven that a healthy, green environment does help to absorb sound and remove pollutants. The results are increased productivity, morale an job satisfaction in the office and a quiet soothing space within the home. 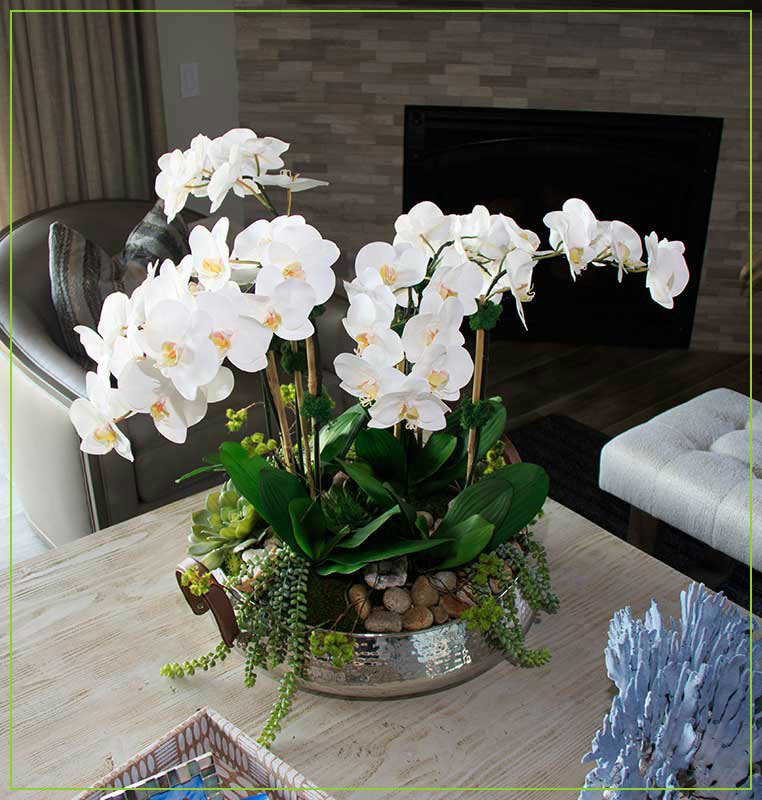 The owner of MR. PLANT, Alcy Grimes, is a seasoned designer with an incredible love for plants. She understands biophilia and that humans possess an innate tendency to seek connections with nature and other forms of life. Her innovative, and minimalistic way of designing the space in which we live and work is a refreshing approach to adding the “green” finishing touches to your home or office. 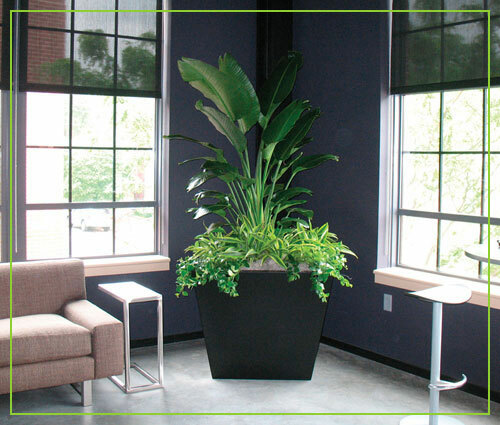 Enjoy a seamless plantscaping design and installation experience. Most importantly, our pro-active maintenance team has been with MR. PLANT for years. Turnover is non-existent. They truly are account managers who are proud of their work and care about each client’s image. 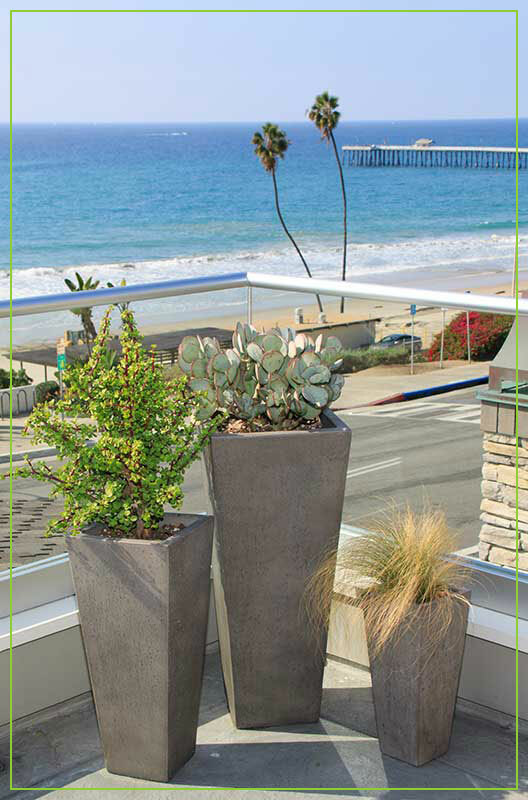 Low water container garden are the hottest trend for Southern California. Succulents, Cacti and other drought tolerant plants come in all shapes, sizes and texture to create gorgeous gardens. MR. PLANT will provide not only the design and installation but the necessary maintenance to keep your exterior container gardens fresh and healthy. For a FREE consultation to spruce up your outdoor living places, call MR. PLANT. 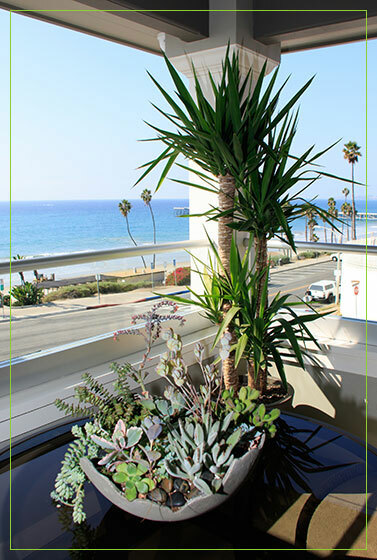 Address: 215 Avenida Del Mar #E.
Your Plants Have A Life…So Should You! © 2019 MR. PLANT. All Rights Reserved. | Website Design By 1to1Network. Inc.